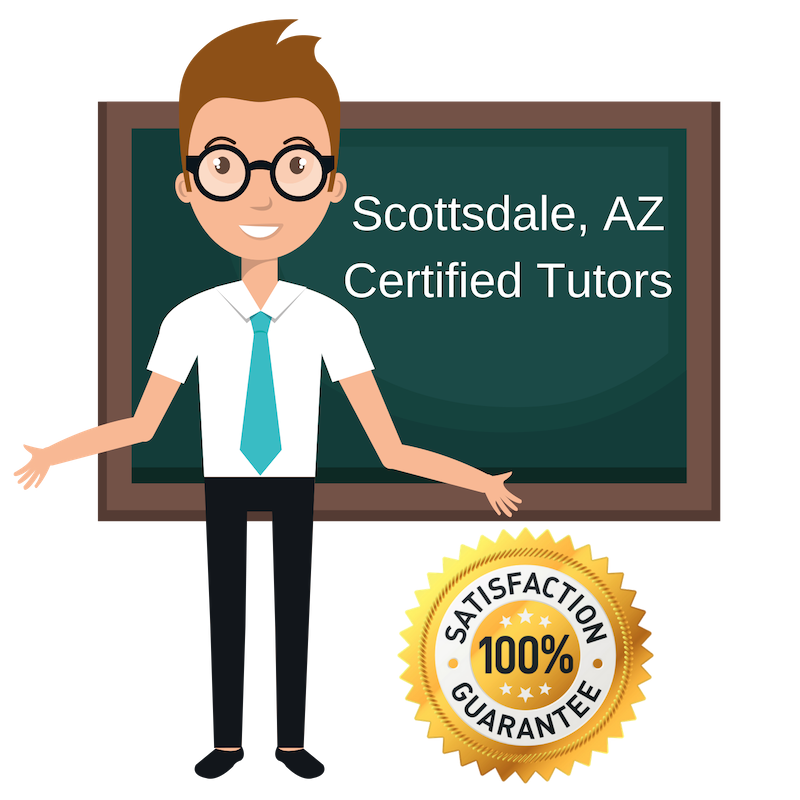 Top Rated Private Tutors in Scottsdale, AZ! By partnering with Varsity Tutors, the leading tutoring agency in the country, we have access to the best tutors in Scottsdale, AZ. My teaching style focuses on facilitating, mentoring, coaching, and guiding to stimulate an interactive learning environment. For a successful learning experience, teacher and student must actively engage in the process, with the teacher providing instruction, guidance, and support. I strive to promote a positive learning experience, build rapport, stimulate learner enthusiasm, and achieve academic goals. This approach has shown effectively increase confidence, motivation, and independence. I have experience tutoring elementary through graduate school students in a variety of different subjects, such as math, science, and English. I believe that it is important to customize the learning experience by adapting my teaching style to accommodate the students learning style to maximize effectiveness. I have a BS in Psychology from Arizona State University and will be defending my thesis this fall en route to completing my MS in Psychology. My academic and teaching experience focus on the natural, social, and health sciences along with statistics and essay writing, including graduate level research papers. I have presented numerous research papers at national psychology conventions and received a graduate research award for my thesis research. My favorite high school and college subjects to teach are psychology, statistics, research methods, biology, nutrition, and essay writing. I have taken three graduate level statistics courses, and I am proficient in a variety of statistical software programs such as SPSS and structural equation modeling programs (AMOS and EQS). Also, I have a strong skill level in Microsoft Word, PowerPoint, and Excel. I enjoy teaching elementary school students in reading comprehension, writing, math, and the sciences. I believe that this is the time to develop a strong foundation for future learning, which will help sustain a high level of confidence, self-esteem, and autonomy. I work to show this age group that learning is fun by using a variety of activities and resources that ultimately leads to a sense of accomplishment. I would appreciate the opportunity to offer my services toward the academic development of students in the Scottsdale community. I have a passion for learning and teaching, but my other activities include reading, hiking, playing tennis, and watching sports. Hi! My name is Alice, and I’m a rising senior at Yale University. My two main passions in life are biology and English — people might see them as completely opposite subjects, but I think they’re just two sides of the same coin! As a tutor, I believe that flexibility and personalization are key. Above all, my goal is to help people not just do well in their assignments and prepare for tests but also to truly understand the material. It’s not rocket science, so I look forward to working with you! I’m available for tutoring sessions from Phoenix to Scottsdale. Hello, my name is Kat. I am a Medicinal Chemistry student at ASU. I’ve always been told that I’m good at solving peoples’ issues by thinking about their problems from a different perspective. I’ve always been fairly good at helping others learn and retain information. This works extremely well during ACT and SAT preparation. I will work all day and night to ensure that you understand the material before tackling larger and more complicated problems. I have been a tutor since my sophomore year of high school, and I truly love helping other people grow and succeed. I am available in the Scottsdale area for helping you answer your academic questions. As a professional courtesy, I request that any cancellations in appointments be made one to two hours in advance. Hello, I’m Debra. I have been teaching Chemistry since 2003 at the following academic institutions: Apollo (Carrington) College, DeVry, Arizona State University, Scottsdale Community College, Glendale Community College, and Grand Canyon University. I love putting a friendly face on the perceived dreadful subject of Chemistry. I teach in a manner that anticipates the ways students think and apply complementary strategies and approaches. Besides teaching Chemistry, I have also practiced it in the pharmaceutical industry at Merck and Company, Danville, PA in 1989, Merck Sharp and Dohme Research Labs in the early 1990’s as part of the team to develop the first HIV vaccine, Crixivan, Three Rivers Bottling in 1998, and Nutracea in 2007. I am prepared to take on the challenge of mentoring young learners with insight into the thought process, interpretation hurdles, and problem-solving ‘traps’ that accompany learning tough subjects, Chemistry in particular. My teaching methods are perfect for preparing for college entrance examinations, such as ACT and SAT. I am excited to draw upon my repertoire and offer it to the enthused, eager young minds in and around the Scottsdale area. Hello – I’m Lisa. I have a Master’s Degree in Elementary Education from Grand Canyon University, and I have experience teaching elementary reading, writing, math, and science to second and fourth grades as well as teaching English to children and adults. In my spare time, I love reading, biking and watching movies. I’m available for tutoring sessions in the Scottsdale area. Student-Tutor's partnership with Varsity Tutors makes it easy to find local world class certified tutors no matter where you live. Here are some other tutors in Scottsdale. Let's Spark Bright Futures!